Quantum-Touch is a vibrational touch therapy that incorporates touch, breathwork, and body awareness meditations. Its concepts are closely related to polarity therapy. It is primarily a light-touch energy therapy, but it is secondarily promoted as a therapy that helps bones to spontaneously adjust to their proper alignment. Richard Gordon developed the Quantum-Touch therapy and also published a book on this therapy, Quantum-Touch: The Power to Heal. The Quantum-Touch healing process involves the practitioner "running energy" into the recipient's body. 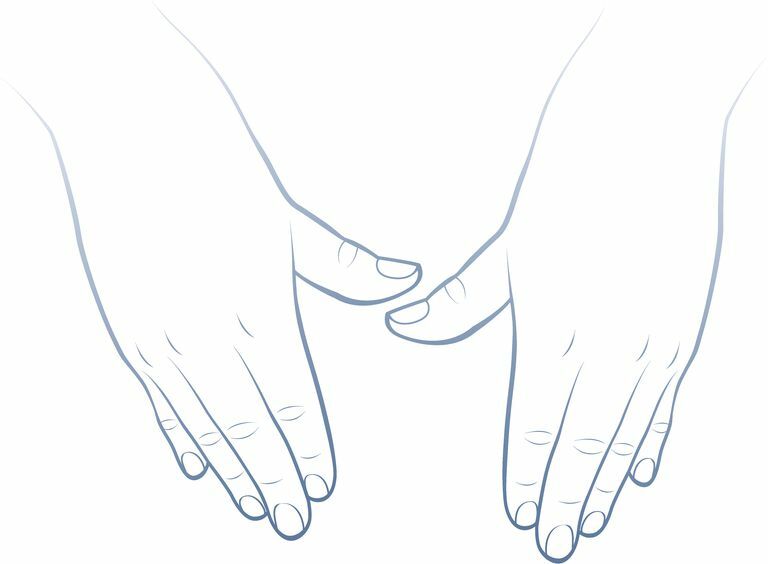 Often, practitioners employ a technique that is known as "sandwiching" or "the hand sandwich". Sandwiching means that the practitioner will use his or her hands to sandwich the part of the recipient's body that is to be treated. One hand will be placed on one side of the body part and the other hand will be placed on the other side. Another technique that is used for "running energy" into very small areas is to create a tripod using the thumb, forefinger, and middle finger. This is meant to help get the practitioner's hands closer to the source of pain. Advanced techniques used in this system include harmonic toning, spinning the chakras, structural alignment, and distance healing. Reiki is enhanced by Quantum-Touch. Quantum-Touch has no attunements or symbols. Quantum-Touch is a natural and innate skill that can be learned through simple breathing and body awareness techniques. These techniques allow the Quantum-Touch practitioner to powerfully focus and amplify the life-force energy. Practitioners of Quantum-Touch don't become drained or tired from doing sessions. About 40% of Reiki masters interviewed reported that they had occasionally felt the energy going up their arm, or had become tired and drained. This is a function of the practitioner matching to the client's vibration. Without a skill to hold a high vibration, Reiki practitioners may at times become drained. Numerous chiropractors, physical therapists, acupuncturists and osteopaths have been astounded to observe rapid structural realignment, reduction of inflammation, and other benefits. Reiki masters who have taken workshops have nicknamed Quantum-Touch, "Reiki empowerment" or "turbocharging the Reiki." Both systems use the same life-force energy. The Quantum-Touch practitioner learns to focus the energy like a laser, which takes concentration, body awareness, and breath. Quantum-Touch greatly surprised me! I wasn't expecting the class to be as wonderful as it was! I received a miraculous healing of my back! I'm a Reiki Master and compared to Reiki, Quantum-Touch is surprisingly fast. I have been a Reiki teacher and practitioner for years, and this was a definite "next step" for me to "ramp up" my ability to run energy. My energy was intensified to a level I never experienced with Reiki. I feel I have found what I was searching for to further my mission of 'helping others be their highest self possible.' I recommend anyone seeking healing or becoming a better person take this workshop. An awesome experience for the skeptic in all of us!!! It's Reiki on steroids and without all the ritual. I like how pure it is." Of our nine class members, one was not a Reiki practitioner. We all felt this class enhanced and augmented our abilities and understanding. We all flew with this class! Quantum-Touch magnifies and intensifies Reiki. It was wonderful to be able to spend the time practicing on each other and feeling the benefits of such a powerful energy. Thank You. For energy medicine practitioners, Quantum-Touch amplifies the effects of Reiki and other hands-on-healing techniques. For the layman, Quantum-Touch empowers the individual to tap into the innate healing abilities we all possess. I am a Reiki Master and have had success with Reiki, but have found Quantum Touch to be very powerful and show results much more quickly. I have worked on two women who can feel the energy as it flows through their bodies. Their response has been that Reiki comes from without and Quantum Touch comes from within. I can feel the energy field surrounding people and can say from direct experience that Quantum Touch (especially after the Supercharging workshop) expands the individual's energy field at least tenfold, which would help account for the breakthroughs in health.